Cella Langer grew up on a homestead in central Massachusetts, where she milked goats and weeded the garden even as a small child. In her high school years, Cella worked on an organic fruit and vegetable farm, where she learned how to make hay, drive a tractor, and grow some mean strawberries. She went on to attend Warren Wilson College in Asheville, North Carolina where she studied Environmental Education. Cella’s love for agriculture and education has brought her to work in school gardens of Detroit, indigenous mountain villages of Ecuador, vegetable and livestock farms in Minnesota & Wisconsin, a cheese-making dairy farm in western Massachusetts, and an incubator farm for immigrant and minority farmers near Madison. Cella loves food, and all the aspects of growing, preparing, and eating it. was raised on a small vegetable farm and bakery in west-central Wisconsin’s Pepin county. 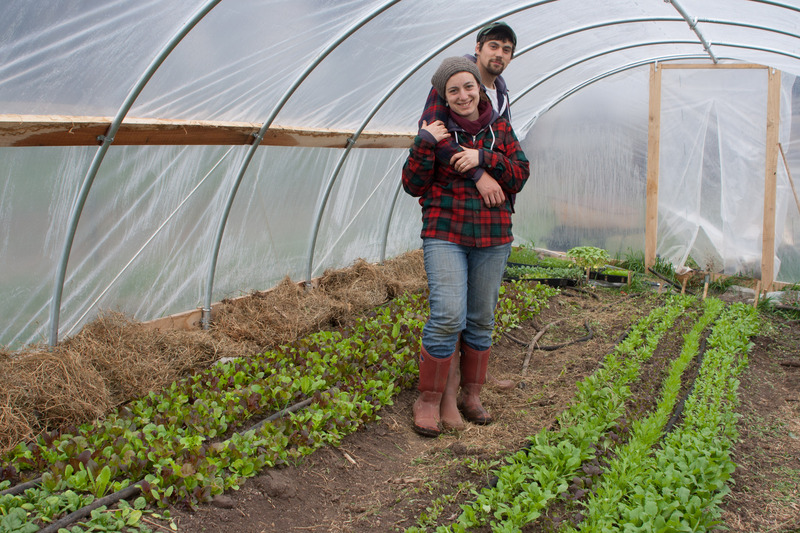 After attending Warren Wilson College in Asheville, NC for Environmental Education and Policy, Emmet has worked on and managed several different farms. Emmet also co-managed the Farley Center farm incubator for immigrant and minority farmers. Emmet and Cella plan to one day have their own small diversified micro dairy. 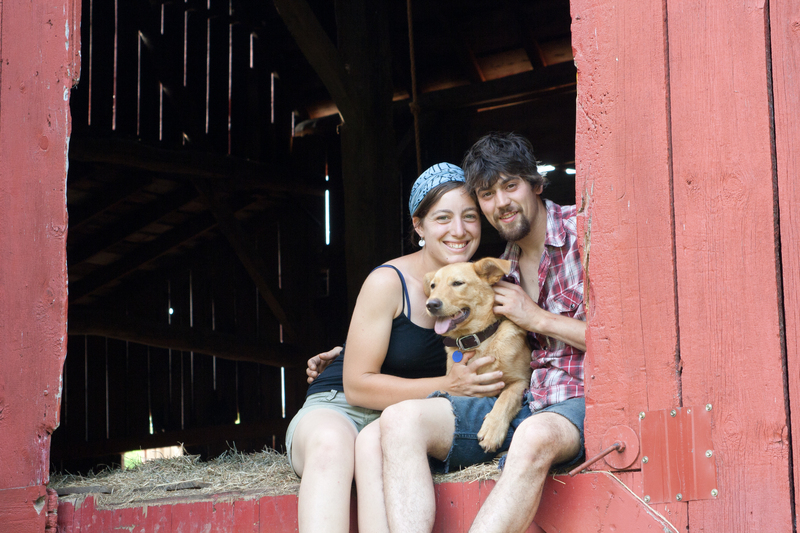 Beyond farming, Emmet’s great interests include bicycle touring, bike repair, transportation and land use planning, and playing music with friends.